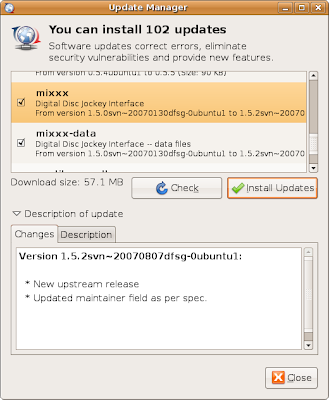 Ubuntu 7.10's universe repository now contains a pre-release of Mixxx 1.5.2. This new version fixes several crashes, and should be more stable than 1.5.0. The 1.5.2 binaries for other platforms should follow sometime in the next few weeks (unless we decide to just release a beta of 1.6.0... depends on how things go). 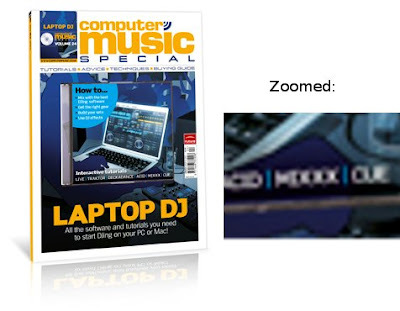 For those who aren't familiar with Mixxx, it's a program that allows DJs to do live beatmixing of music. Instead of lugging a pair of turntables and a record crate around, many modern DJs (both amateur and professional) prefer to use a laptop with an external hardware controller instead. Mixxx allows you to control the playback and speed of music, just as one would do with real turntables. 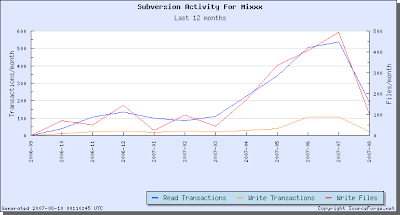 After being created in 2001, Mixxx has steadily become more and more useful. Unfortunately, the original developers decided to move on with their lives and left Mixxx in a half-broken state at the end of 2005. However, in the summer of 2006, the project was brought back to life by a new lead developer (Adam Davison). For the following 10 months, a new team of slowly accumulating developers focused almost exclusively on bug fixes, giving the software some much needed love. Flash forward to Summer 2007 - After successfully applying to the Google Summer of Code program, the Mixxx development team was joined by three eager students: Pawel Bartkiewicz, Micah Lee, and Nathan Prado. We decided that we wanted to use GSoC as an opportunity to kick-start a new development push that would help bring new, much-requested features to the DJ community. To say the least, the program so far has been an outstanding success for us. Not only have our students brought us much improved BPM detection, LADSPA effects, and a more functional playlist/library interface, but they've also helped tremendously with the revitalization of the project. The students' work has not only wooed several older developers into actively writing code again, but has also attracted the attention of many other talented new developers. The students' lasting contribution to the revitalization of Mixxx is only matched by that of Google themselves. With their support through Summer of Code 2007, we've been able to better equip DJs around the globe with professional quality open source software. Lastly, by introducing our students to team-based open source development, our mentors have been able to give our students real-world experience and a new set of skills. All of these contributions have been made possible thanks to Google's Summer of Code 2007, and for that we are tremendously grateful. 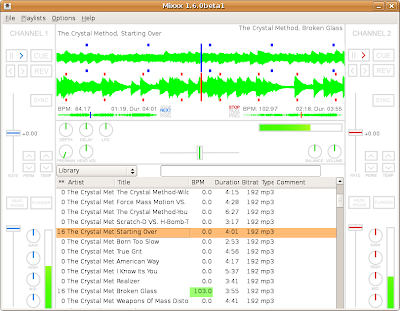 Open source software for DJs: Buy your music, not your software. Welcome to the official blog of the Mixxx project! We've been hacking away for quite some time now trying to build the best application we can for live DJing, and along the way we've had quite a few thoughts that we think are worth sharing. This blog will let us share some of those thoughts in a less formal way and will hopefully shine some light on our development process.